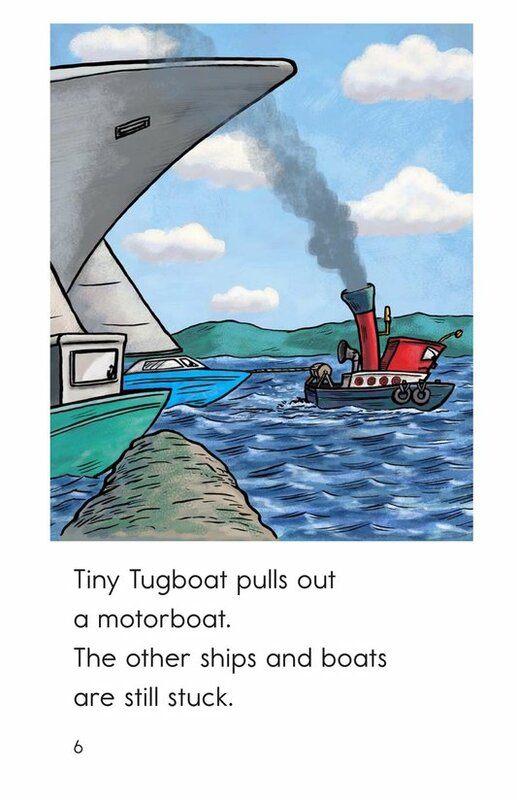 Tiny Tugboat has a huge job before him when a crowd of boats get stuck in the bay. 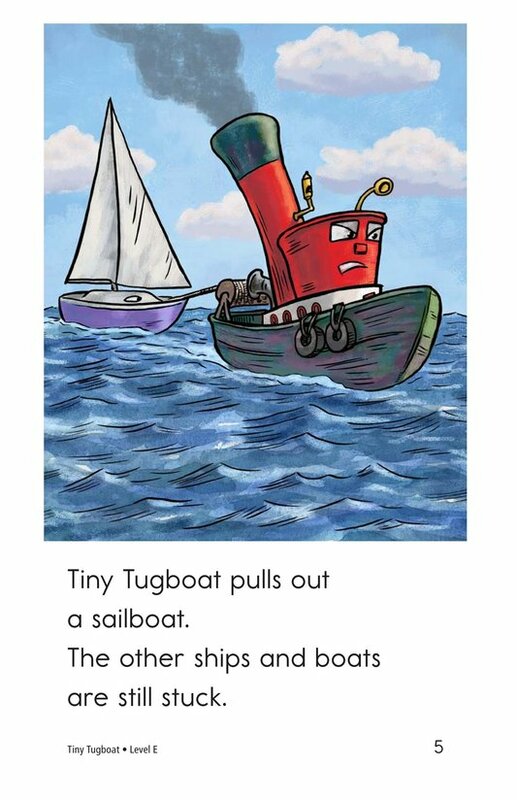 The plucky tugboat goes to work. 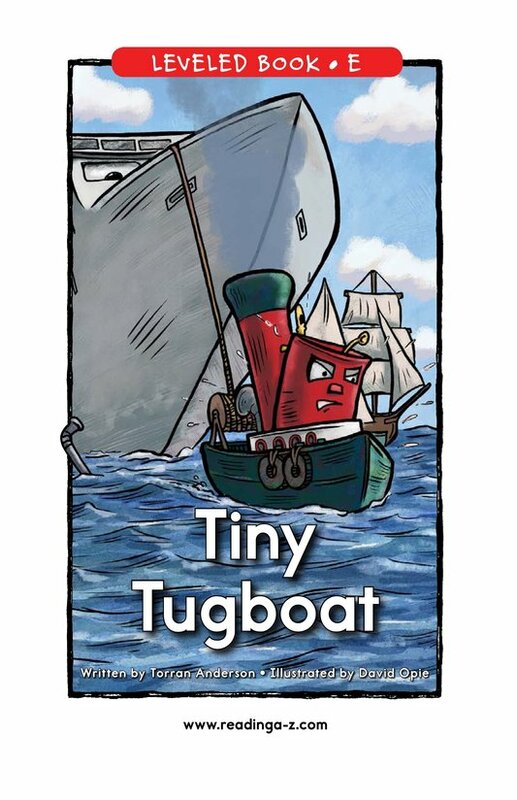 Students will enjoy watching him set free boats, ships, and even a submarine! 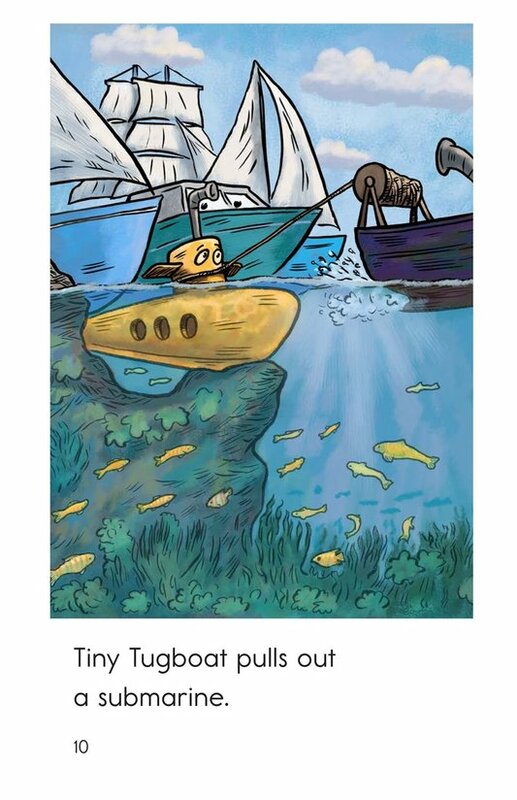 Cartoony illustrations bring humor and personality to the story. 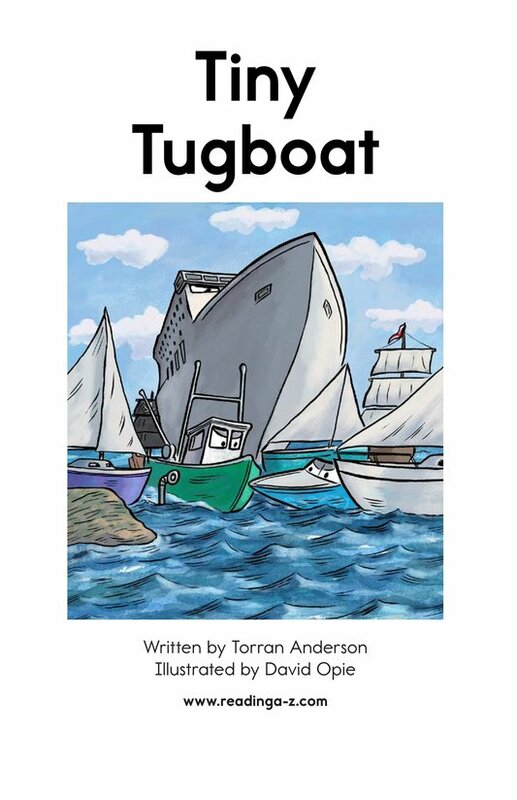 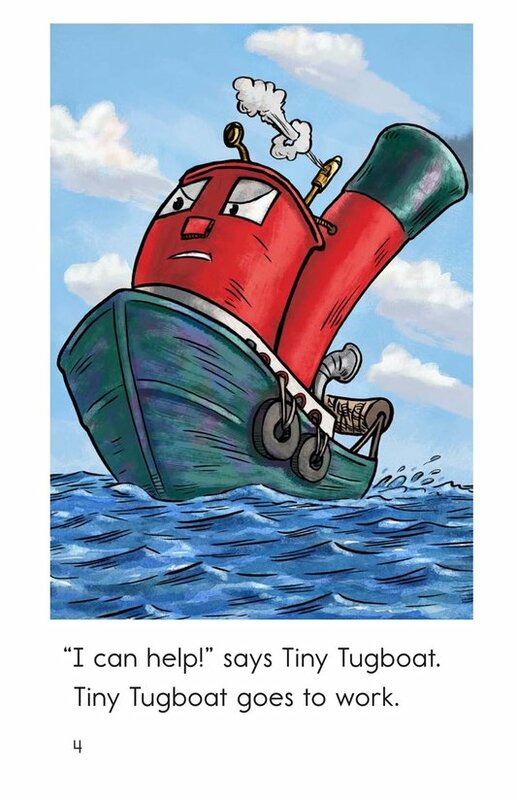 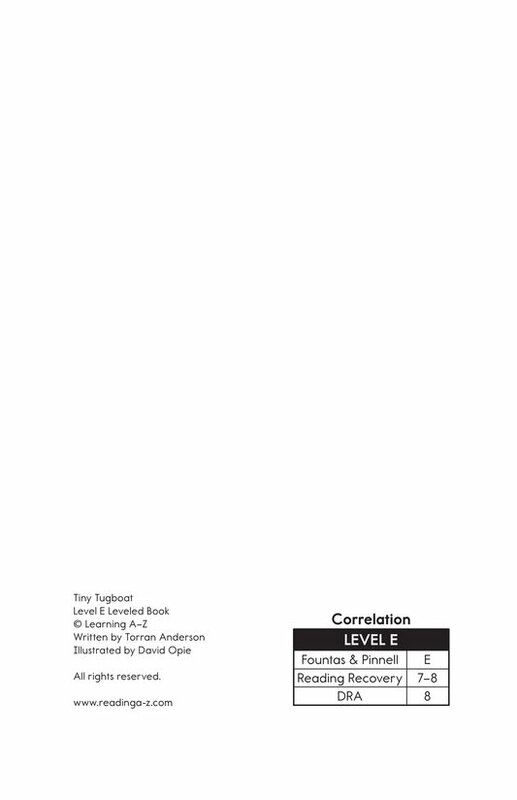 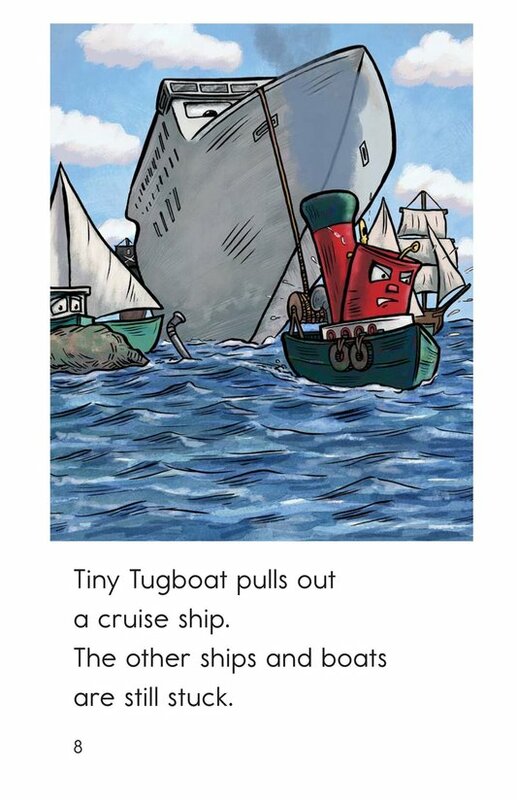 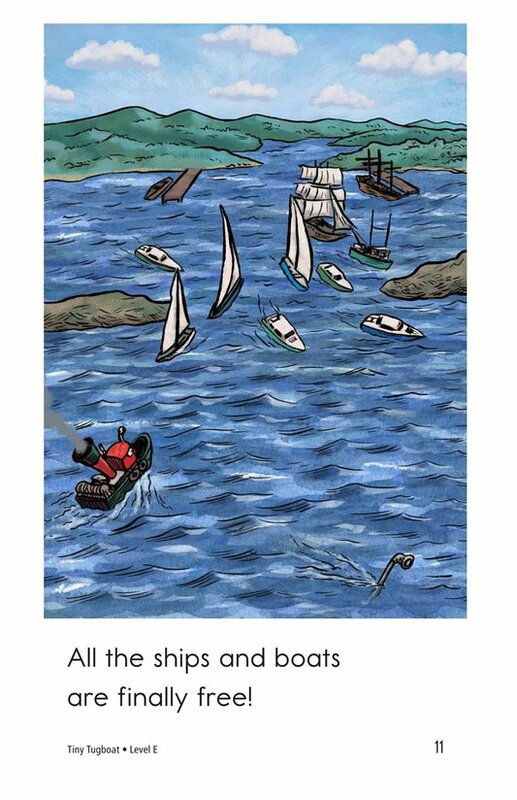 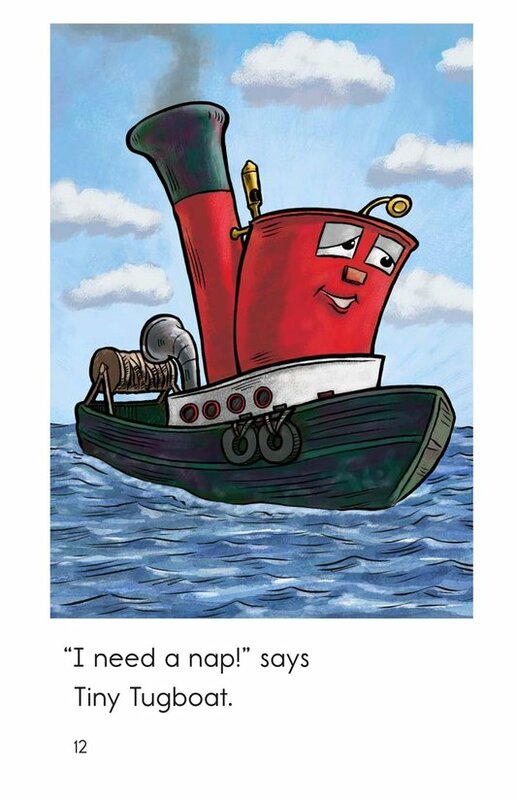 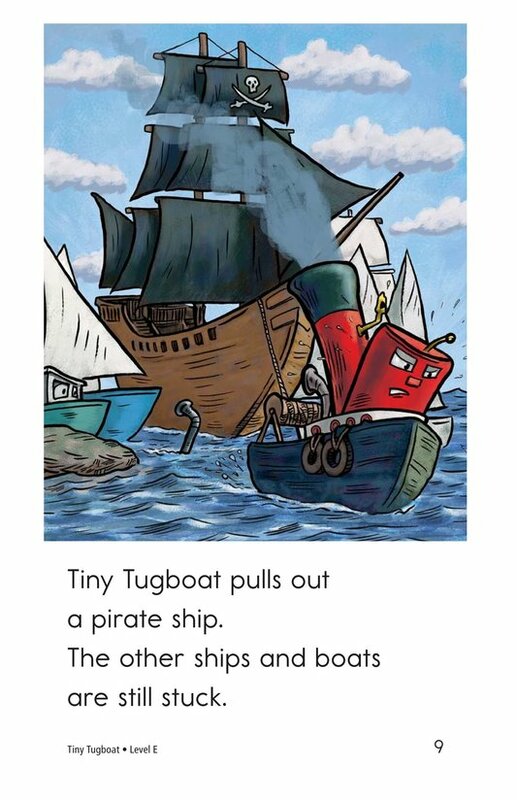 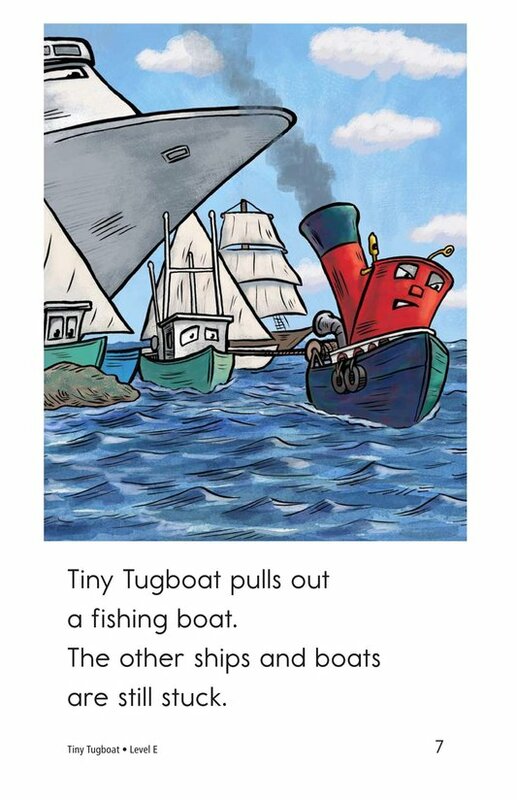 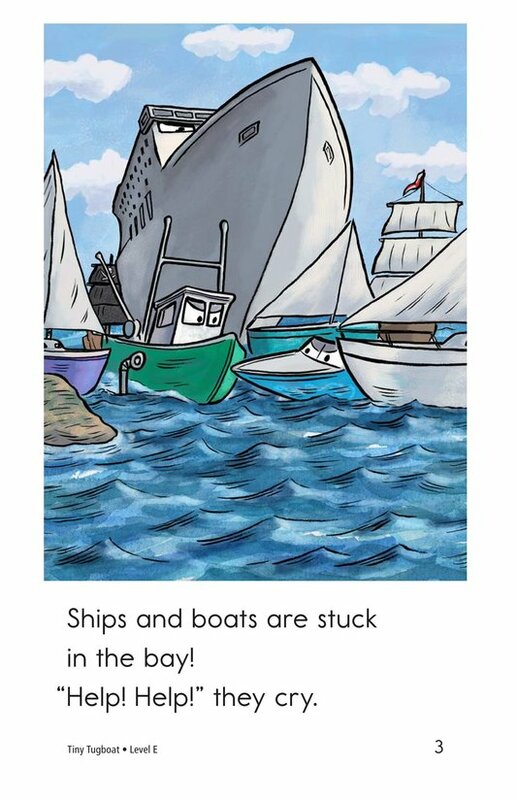 Tiny Tugboat uses shorter sentences and dialogue appropriate for emergent readers, and also teaches students about sequencing events and quotation marks.